Hulu is likely your first stop when you’re looking for next-day episodes of your favorite TV shows or a classic series to marathon, but the streaming site is also becoming an excellent destination for films. While you may have to dig a little bit, these days you’ll be more likely to find that ’90s favorite or critically-acclaimed hit film in Hulu’s library than Netflix’s. Your favorite TV streaming destination has a lot more to offer than just TV, and if you need further proof then check out these 15 films that you didn’t know were on Hulu. 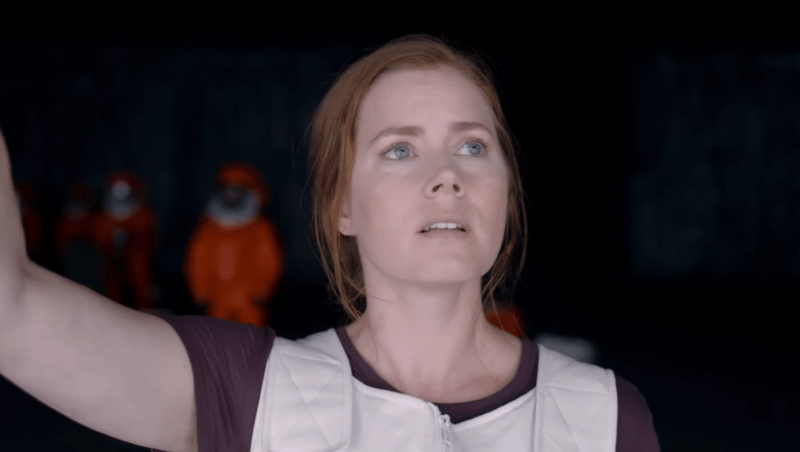 Amy Adams’ 2016 sci-fi film about an expert linguist who is sent to communicate with aliens is a quiet, but enthralling entry into the genre. One of Disney’s most underrated animated films is just a click away on Hulu. Make it your next family movie night pick and remind yourself why you loved this inventive film so much when you were a kid. If you’re in need of a Daniel Craig as James Bond fix, then Hulu has you covered. This isn’t the best of Craig’s films, but it still makes for an entertaining movie night. Aubrey Plaza gives a killer performance in this criminally underrated 2017 indie that everyone needs to see. Fences was nominated for four Oscars and took home one for Viola Davis’ searing performance. It’s an intense, but satisfying movie, especially if you’re in the mood for a prestige film. Mandela Effect sufferers, this one is for you. The classic road trip movie that combined female empowerment with heartbreak is just waiting for you to stream so you can cry over Thelma and Louise’s fate all over again. Up in the Air may be George Clooney’s best film. The melancholy masterpiece is certainly one worthy of being revisited. Scream deconstructed the horror genre so perfectly that it became an instant classic, and it still holds up today. Look, Colossal is a weird movie, but it’s also kind of perfect. That’s thanks in large part to Anne Hathaway’s winning performance as a woman who is also a literal monster. Forget Cloverfield, 10 Cloverfield Lane is a far more intense and well-crafted thriller. A Star Wars parody for the ages, Spaceballs is the perfect movie to stream when you just need to laugh. You want Indiana Jones? Because Hulu has all the Indy you could want. The next time you sign in to Hulu to catch-up on The Good Place, head over to the movie section. You might be surprised at just how much the selection has grown since your last visit.